Members of a church in South Africa who were sprayed with insecticide by their pastor have defended him amid outrage over his actions, according to the South African Broadcast Corporation. 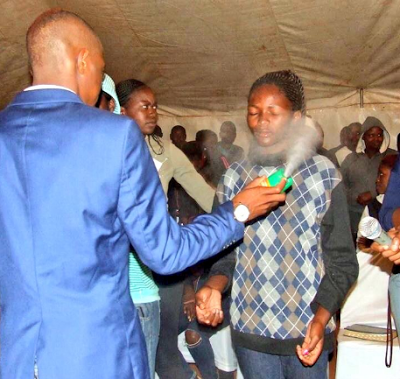 Pastor Lethebo Rabalago of the Mount Zion Christian Assembly in Zebediela, Limpopo, had attracted criticism after reports and images of him spraying members with Doom insecticide went viral. The SABC, however, reported on Monday that it witnessed Rabalago spray himself and some of the church members when the broadcaster honoured an exclusive invite to a Sunday service at the church. Following criticism of his action, the pastor had defended himself, claiming that God directed him to spray the insecticide on the congregation to heal the of their ailments. His claim is despite a warning by the manufacturer of the insecticide that it was harmful to humans.